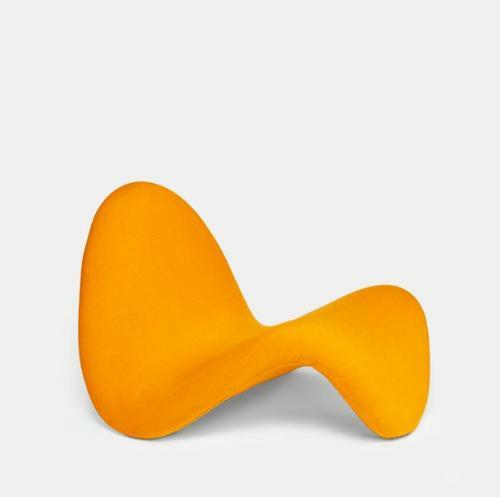 In his fifty-year career, Pierre Paulin transformed seating, reinvented spatial design and founded the first global design agency in France. Through a hundred or so exhibits – furniture, environments, projects and drawings – the Centre Pompidou’s retrospective offers an unprecedented overview of his work from 1950 to the 1990s. Pierre Paulin designed for everyone, and his work looks as much at home in the world of James Bond as it does in the Élysée Palace. His opposing qualities, “simplicity of line, austerity, an attraction to a somewhat ascetic conception of utopia, but also energy, vitality, humanity, playfulness, a sensuality all the more developed for being so often disguised … all these found in his art a terrain of peaceful coexistence”, his friend Alain Gheerbrant wrote in 1983. Testimony to his eclectic energies, his production was among the most prolific of any 20th century designer’s. If he had a gift for capturing the mood of the age, his real talent was for anticipating it. Paulin graduated from the Centre d’Art et de Techniques (today’s École Camondo) in 1950. Trained there in the tradition of French furniture design, he began his career with Marcel Gascoin, where he picked up the rudiments of modernism: “In my early days at Marcel Gascoin’s, we were very much influenced by modern Swedish design, by their products for young families. I was 25, I was interested in well-made pieces at reasonable prices,” Paulin recalled in a 2007 documentary. In July 1951, he went off to discover Scandinavia himself. Nordic architecture and design, and notably the work of Alvar Aalto, would have a decisive impact on his development. He read the magazine Interiors, where the new culture of design was represented by the work of Charles and Ray Eames, George Nelson, Eero Saarinen, Harry Bertois and others. Looking now for a free hand and efficiency of production, Paulin offered his work to a number of manufacturers: A. Polak Originals, Meubles TV, Thonet France. For A. Polak Originals, he created his famous Anneau chair, selected for the 11th Milan Triennale: “I took two broom handles, leaned them against the wall, and using kraft paper, I made a circular band, which would be done in leather, and that was it! Then I had to find a frame that would support it all: two rectangles of bent steel [tube], held together by four fasteners. The chair was simple, like a sack.” At Meubles TV, Paulin found sympathy for his own functional and modernist aspirations, a passion for line and proportion, for formal rigour. With Thonet France, he drew on the idea of the range developed by American manufacturers, proposing a line of office chairs and other contract furniture united by a new and distinctive grammar. He reflected on the structure of the chair, even questioning the use of traditional upholstery fabric: in 1957, he and Thonet took out a first patent for the use of stretch materials. At the height of his success as a designer, Paulin confided: “I’ve always been honest in my work. In fact, I wanted to be an architect.” In this respect, he was self-taught, moving on from interior to interior, from commercial stand to commercial stand. His space designs were based on three principles: the creation of tension (curves of nature / sharp edges of industry, softness of lightweight materials / rigidity of the supporting structure), reversal (ceiling treatments becoming floor treatments, and vice versa) and punctuation by means of colourful mobile elements. In 1969, President Georges Pompidou’s commission for the renovation of the private apartments at the Élysée brought together Paulin’s work on mobile and removable architectures (such as the tent or igloo) and his experiments with ceilings. Paulin thus created a kind of tent cathedral, combining principles of church architecture, with its intersecting ogives, with the new materials of the 1970s. The stone of the church was replaced by prefabricated plastic modules, while the windows shattered into choirs of glass rods. The project marked the beginning of a new line of exploration for Paulin: having designed individual objects and shaped interior spaces, he now sought to draw the processes together. In 1972, he developed his idea of integrated design, exemplified in a modular interior. This ambitious project was rejected, but it had set him on the path to global design, the design of space and its contents, the integration of design, production, distribution and marketing. When he set up ADSA, in 1975, with Maïa Wodzislawska and Marc Lebailly, Paulin adopted a new approach, centred on the notions of industrial and global design, which saw designers work closely with manufacturers throughout the process. Inspired by experiences in America, Paulin chose to work through a team: “I’m the expert the project leaders consult, the overall manager, and in principle the designer of most of the products developed here, but I’m no longer the only one involved.” Now distanced from both immediate creative activity and the object under development, Paulin found himself hankering for sole responsibility for a project from beginning to end. He would often break out from the team to take up his place at the drawing board, reworking and refining the basics of his ranges. When François Mitterrand asked him to refurbish his presidential office in 1984, he came up with a theatrical design, part innovation, part return to classicism. One might wonder what impelled his revival of interest in traditional construction; he said himself that it was from then on that he sought to accord to hand work the importance it deserved. In his work with the Atelier de Recherche et de Création (the research and design section of the Mobilier National, the French national furniture collection and government furniture agency) – on the Table Cathédrale, the Siège Curule, the Chaise à Palmette – Paulin drew as much on the Gothic as on the Antique or on traditional Asian furniture. Three decades ahead of his time, already in the early 1980s he was turning back to slow production. Pierre Paulin , Appartement du Docteur Batarec, salon , 1972?